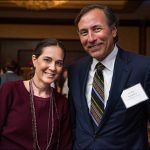 Information Services, the Cancer and Hematology Centers and Pharmacy recently partnered to successfully launch Epic Beacon, a new medical oncology module that gives physicians and other providers a better tool with which they can create personalized treatment plans and support care regimens based on standardized protocols. 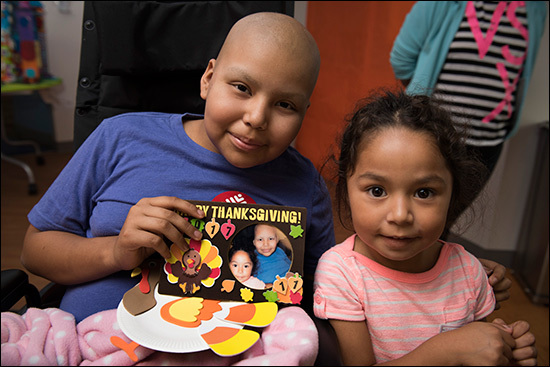 The outcome of such treatment plans and support care is a more efficient and effective way to follow each patient through outpatient doctor’s visits and inpatient hospital stays, easing the patient’s transition to lifetime, post-cancer care. 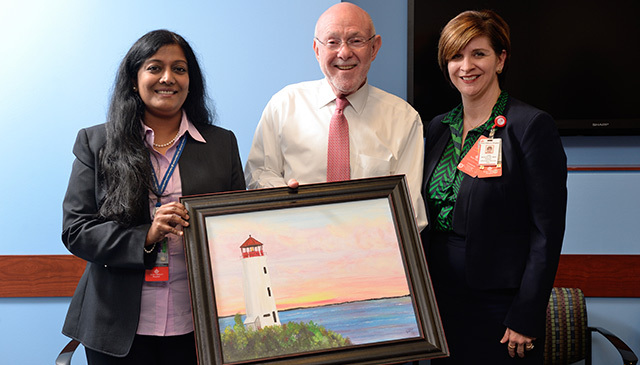 During the 18-month implementation process, about 600 treatment protocols were made electronic via Epic Beacon, which is fully integrated with Epic’s pharmacy and electronic Medication Administration Records (MAR) products, allowing oncologists to better track medications that have been dispensed and administered, including medications ordered outside of an oncology treatment plan. 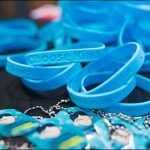 In addition, Beacon, which is being used system wide where oncology patients receive chemotherapy, features decision support that can suggest protocols as well as dose-specific medication modifications based on chart data. 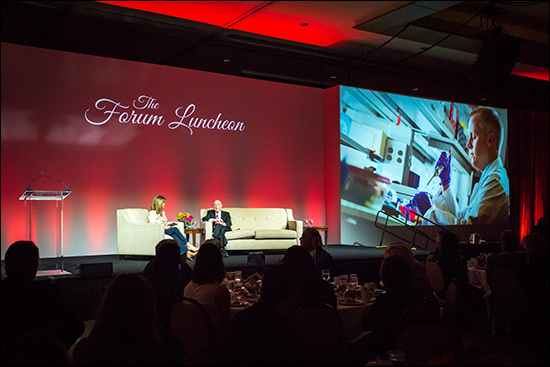 It also tailors plans at the patient level, so medication orders can be created and queued up in advance of patient visits for cancer treatment. 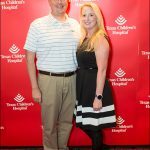 Dr. ZoAnn Dreyer, an oncologist with the Cancer Center, said Epic Beacon’s buildout and go-live process was smooth and seamless. 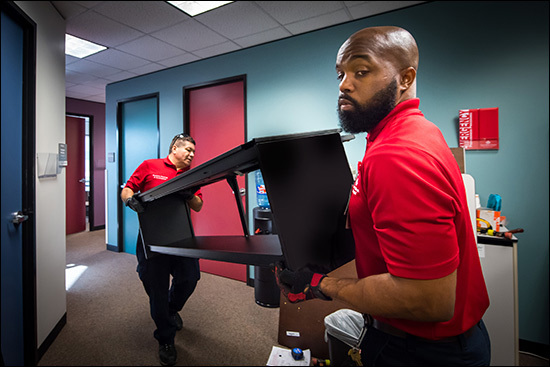 When Peggy Kellum called the Texas Children’s Office Move and Relocations Team (OMART), all she wanted was three filing cabinets moved from one side of a room to another. 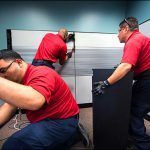 OMART was created less than a year ago to handle small jobs like the one Kellum requested as well as larger office moves and relocations. 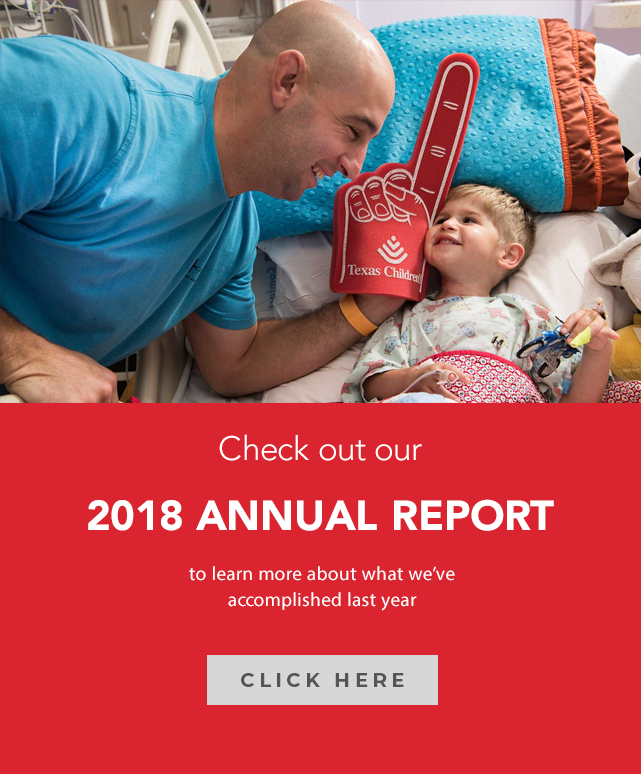 In the past, Texas Children’s has outsourced such jobs, but as the organization has grown, so have the requests and in turn the cost of such services. 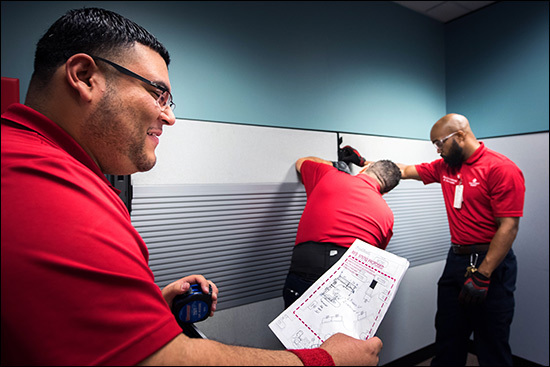 In addition, efficiencies initially seen by outsourcing have been replaced with extended turnaround periods for surveying, quoting, scheduling and completing the requested task. 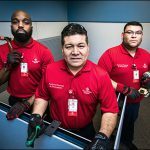 Since launching the three-person OMART team in April, OMART has fulfilled more than 200 requests, with an average turnaround time of five and a half days from when the initial request was made. 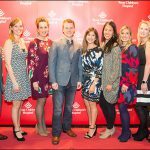 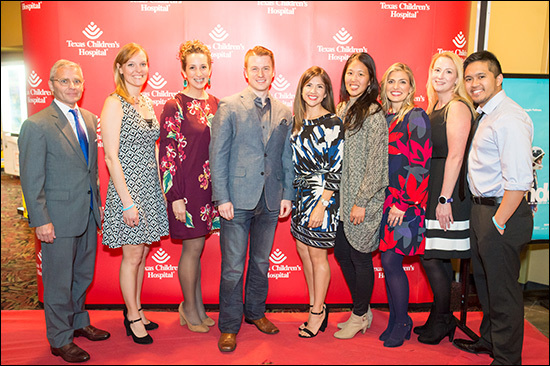 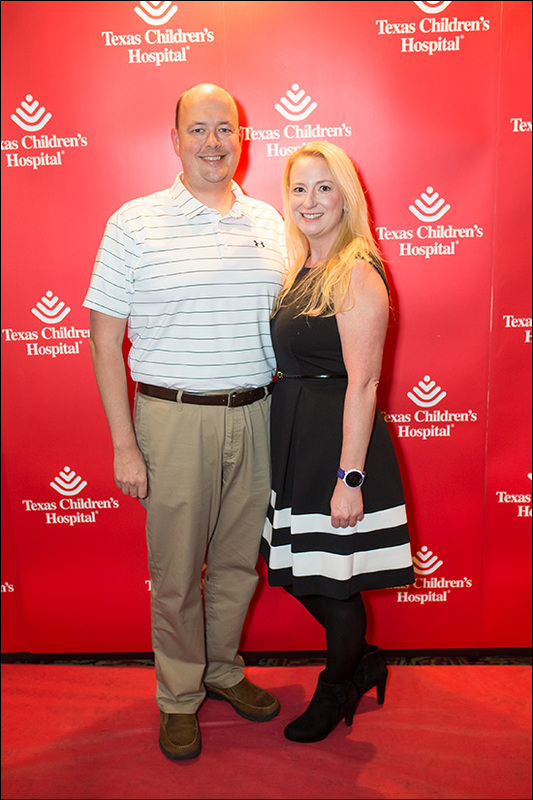 The team’s work has saved Texas Children’s an estimated $100,000 and has the potential of saving more if the team grows and expands to areas of the system outside of the Medical Center. 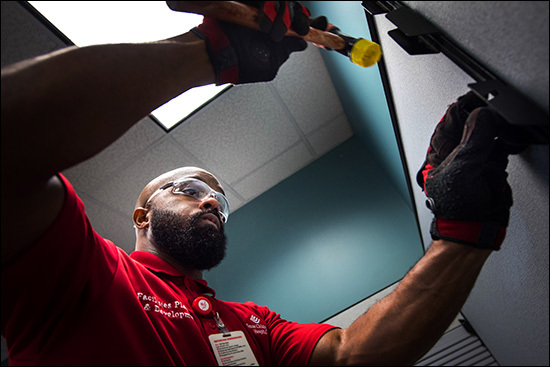 Currently, OMART has the capacity to fill requests from the Abercrombie Building, Feigin Tower, the NRI, Pavilion for Women, Meyer Building, Wallace Tower and West Tower. 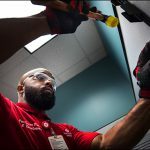 The team will cover Legacy Tower when it opens and will look at the possibility of expanding to West Campus, The Woodlands and beyond in the future. 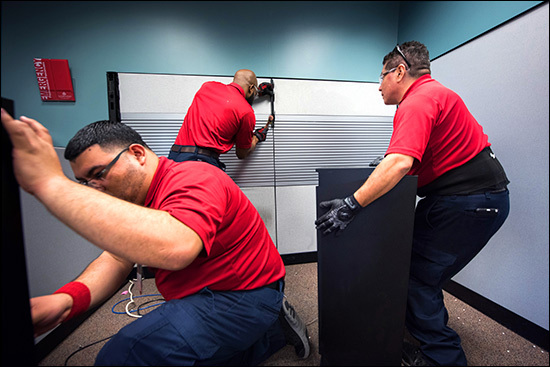 OMART also would like to take on larger jobs when capable. 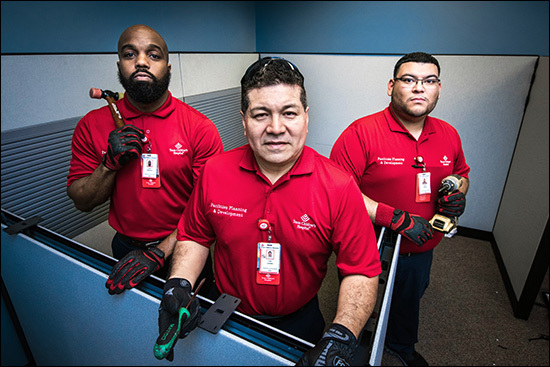 Such jobs, as well as capital projects, are still supported by outside vendors. 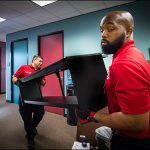 To request move and relocation services submit a Request for Service via the Connect site. 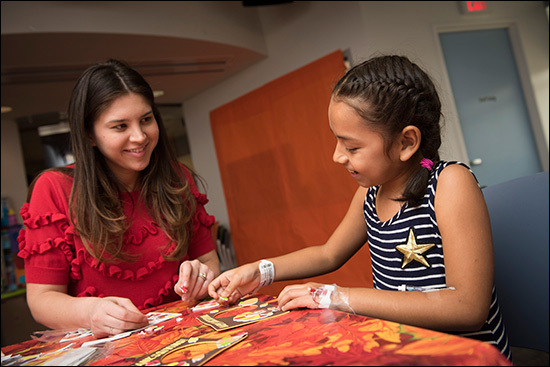 Because of the complexity of conditions seen at Texas Children’s, many patients and families view the health system and its staff as a family that supports them both inside and outside the hospital. 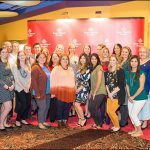 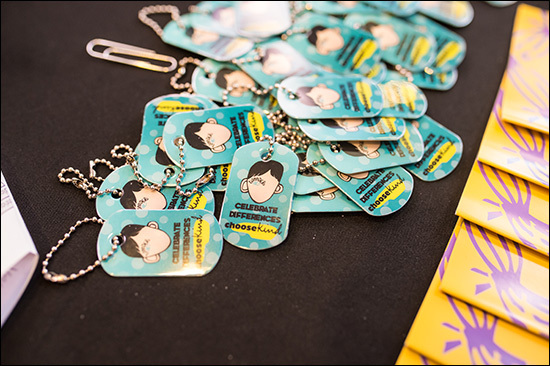 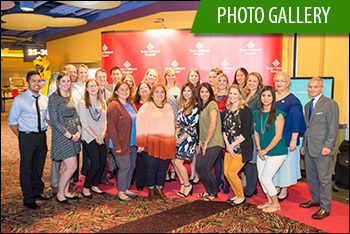 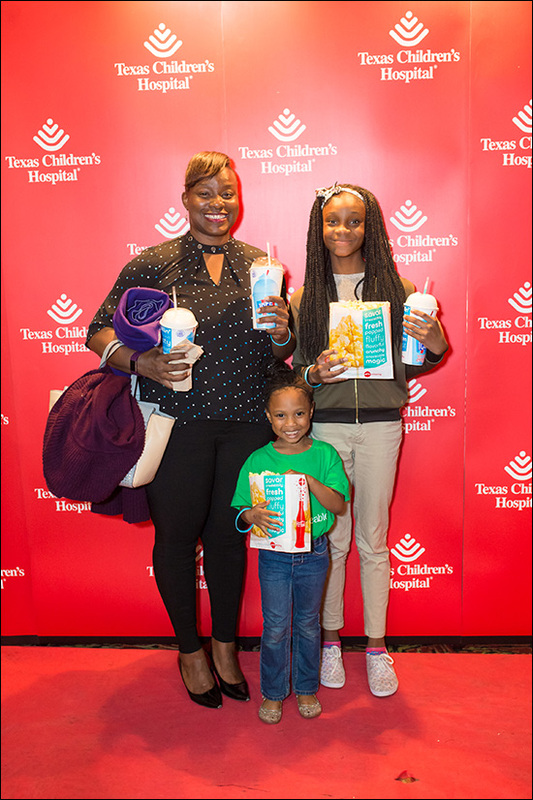 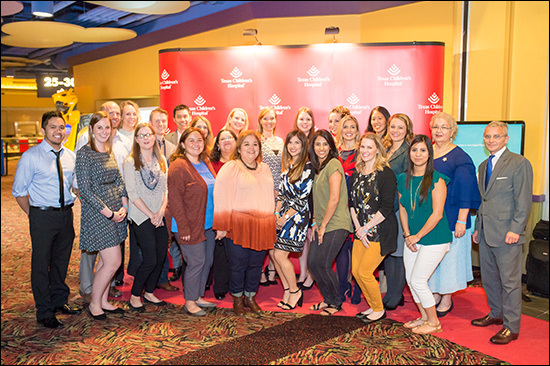 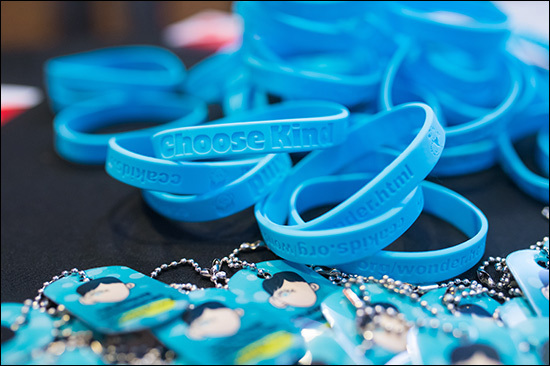 That relationship was on full display November 15 when several patients of the Texas Children’s Craniofacial Clinic were given the opportunity to attend a free, early screening of the movie, Wonder. 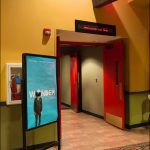 Wonder tells the incredibly inspiring and heartwarming story of August Pullman, a boy with facial differences who enters fifth grade, attending a mainstream elementary school for the first time. 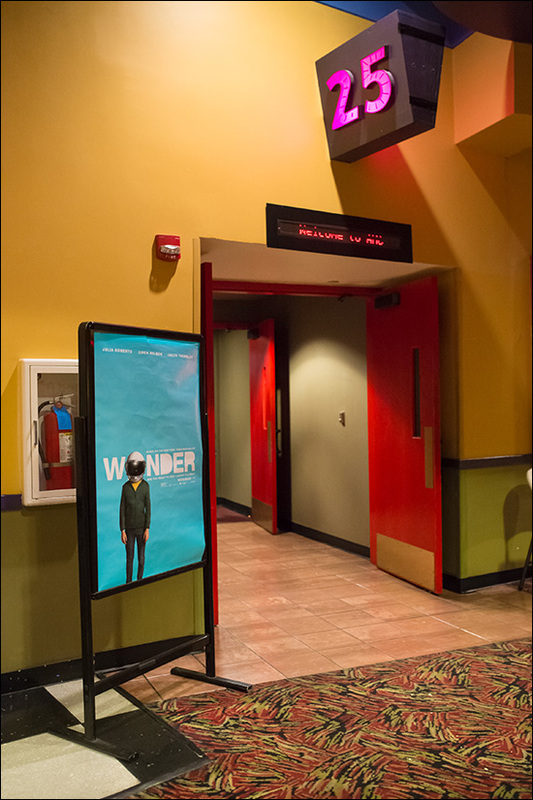 Based on the New York Times bestseller, the film stars Julia Roberts, Owen Wilson and Jacob Tremblay. 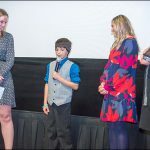 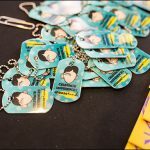 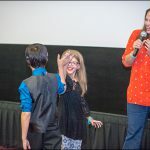 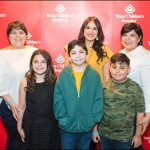 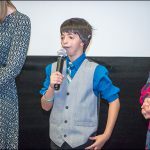 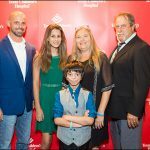 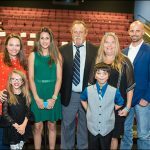 The premiere was sponsored by members of the Children’s Craniofacial Association and Texas Children’s Craniofacial Clinic team, which treats and researches complex craniofacial differences such as Treacher Collins Syndrome, the one highlighted in Wonder. 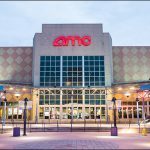 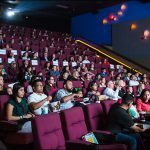 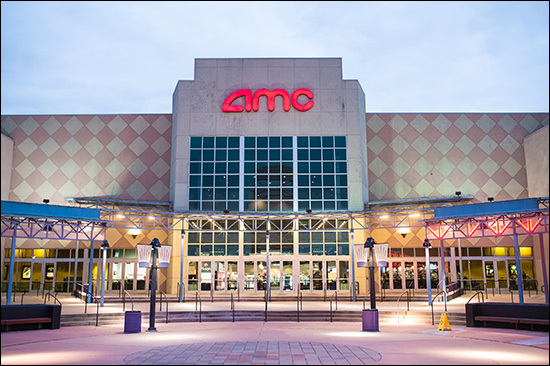 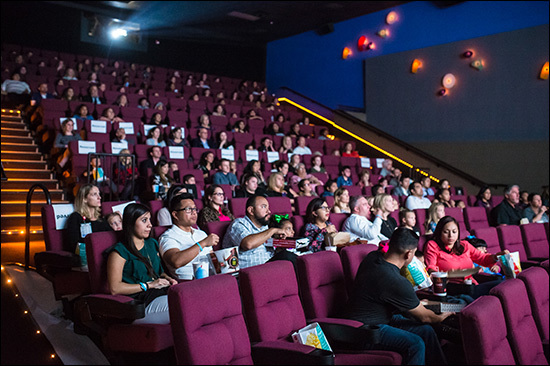 Held at AMC Studio 30 on Dunvale Road in Houston, the screening of the movie began with patients and families walking down a red carpet and posing for photographs before making their way to the theater. 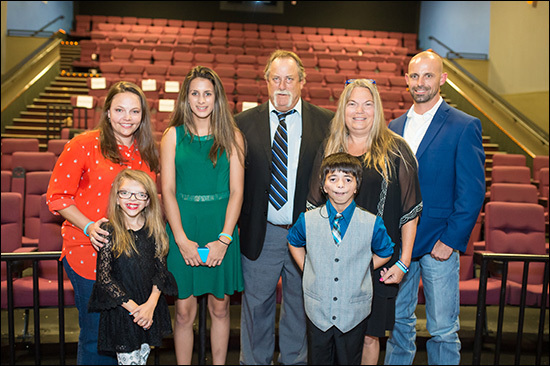 The event ended with comments from two Craniofacial Clinic patients and their family members. 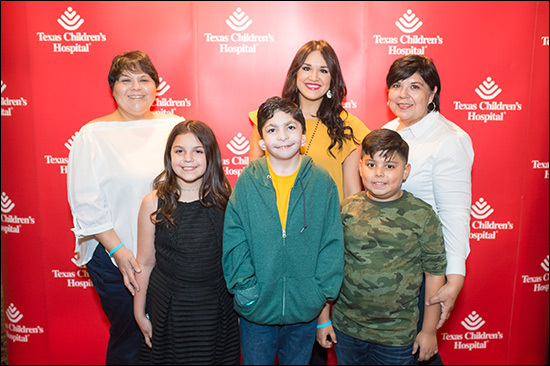 Grace Anto, a 10-year-old Craniofacial Clinic patient, said she could relate to much of what August, the lead character in the movie, went through. 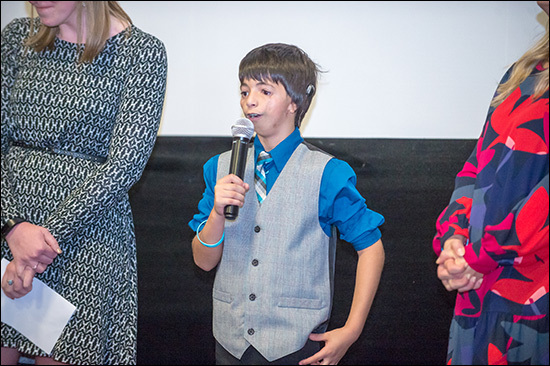 Twelve-year-old Lance Dromgoole, another Craniofacial Clinic patient, agreed and said his favorite part of the movie was when August and Jack became friends. 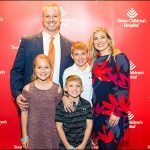 “That was definitely the best,” he said. 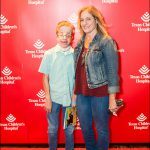 Like the lead character in Wonder, Lance and Grace have had multiple surgeries to correct their craniofacial differences. 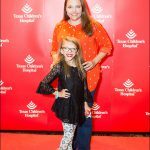 Grace has had 10 surgeries and Lance has undergone 38. 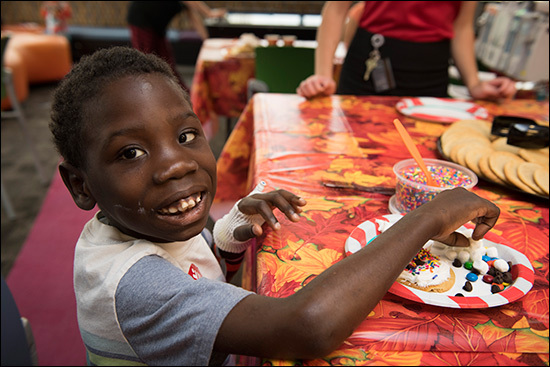 Some of those procedures helped Lance breathe better and others gave him actual ears, something he was born without. 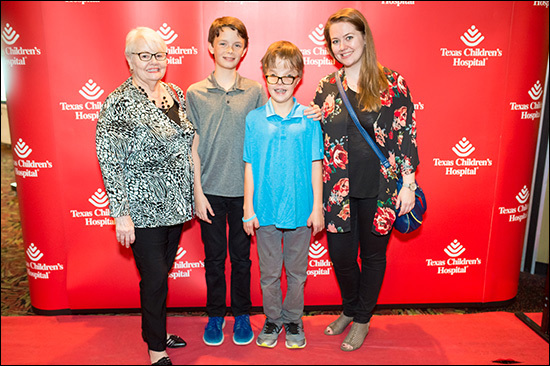 Lance’s grandmother, Kathy Dromgoole, said she will never forget the first time Lance was able to put on sunglasses and that she will forever be grateful for the care her grandson has received at Texas Children’s. 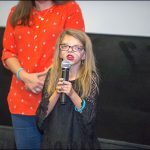 Regarding the movie, she said she hopes Wonder shows people that children with craniofacial differences are normal kids and that they deserve to be treated as such. 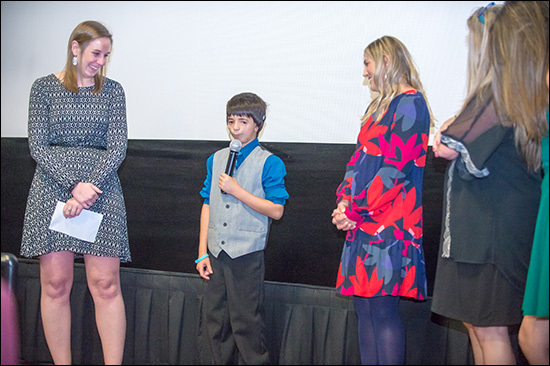 Grace’s mother, Lynn Anto, said the movie beautifully illustrates the power of kindness and how greatly it is needed people’s lives. 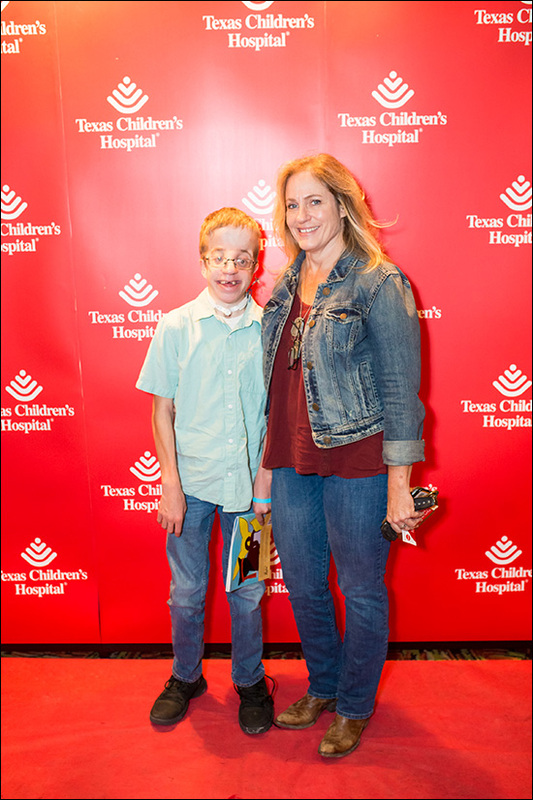 Athena Krasnosky, a nurse practitioner with the Craniofacial Clinic and one of the organizers of the screening, told last week’s audience that Texas Children’s sees itself and its patients and families as one big happy family, and that everyone within the Craniofacial Clinic was thrilled to have been able to watch such a meaningful film together. 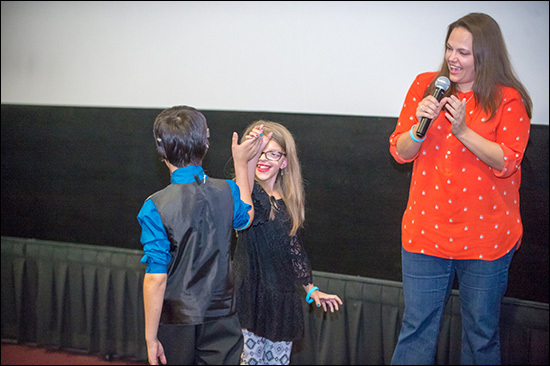 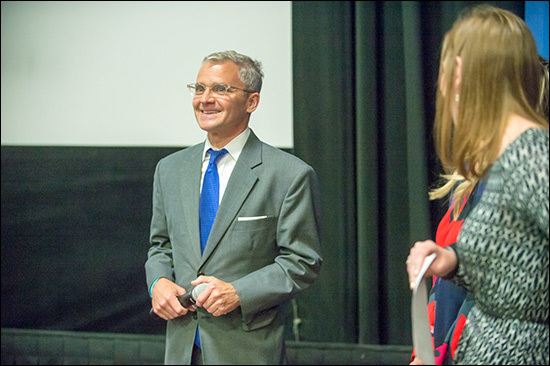 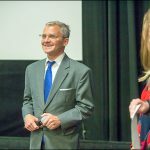 Haley Streff, a genetic counselor with Texas Children’s and another organizer of the movie screening, echoed Krasnosky’s comments and said the moving screening was a powerful experience. 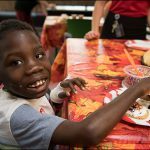 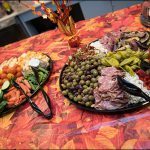 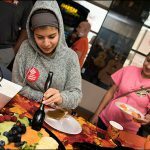 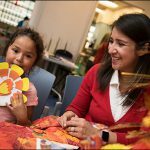 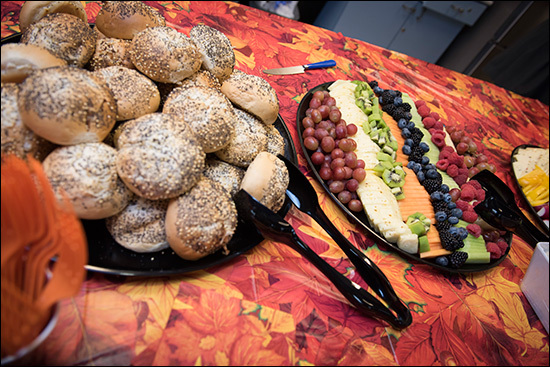 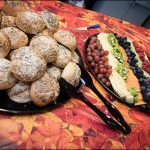 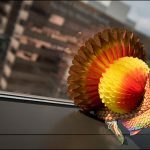 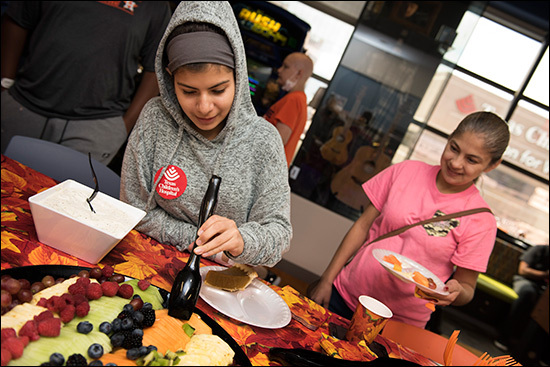 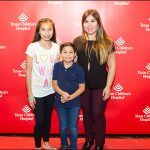 On November 16, Texas Children’s hosted a Thanksgiving feast for many patients and their families in The Zone at Texas Children’s Medical Center campus. 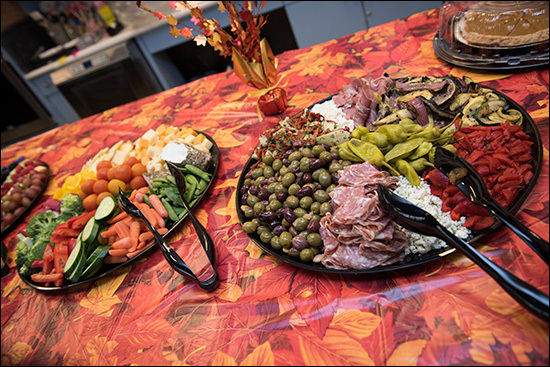 Decorated in fall themed colors fit for the occasion, children dined on turkey and ham, veggies, fruit and plenty of sweet treats including good old-fashioned pumpkin pie. 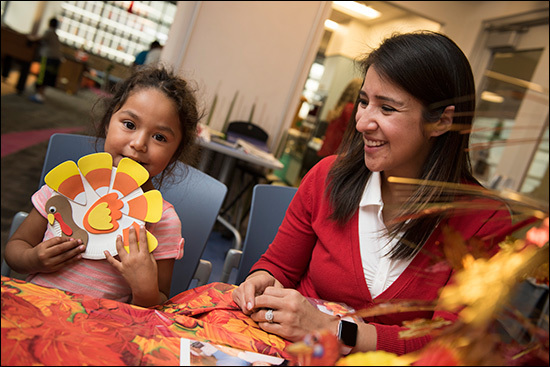 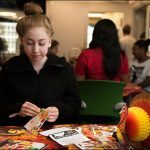 Children also played games, got their pictures taken, and participated in Thanksgiving-themed arts and crafts while sharing what they are most thankful for this holiday season. 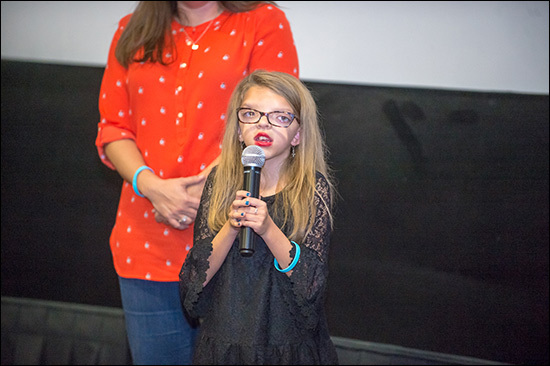 Six-year-old Molly Malinsky and her parents have a lot to be grateful for this holiday season. 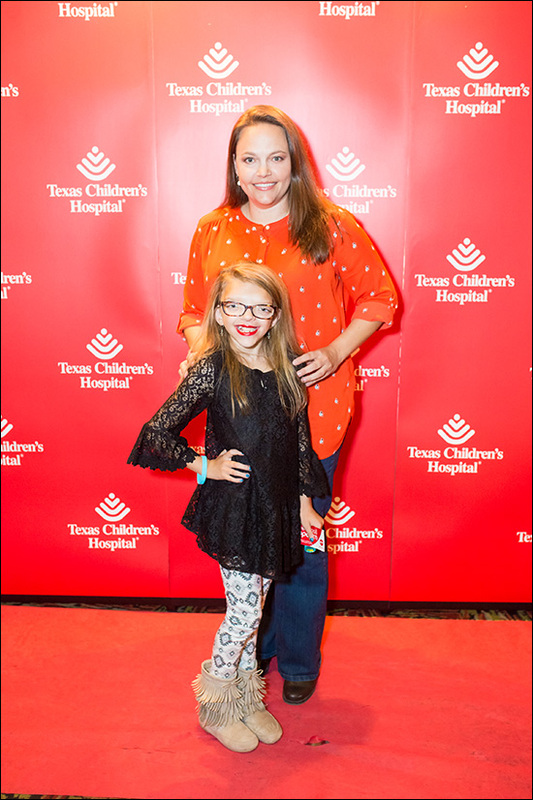 After their daughter was diagnosed with a seizure disorder at four months old, Molly is now seizure free, a miraculous outcome that her family credits to Texas Children’s world-class neuroscience team. 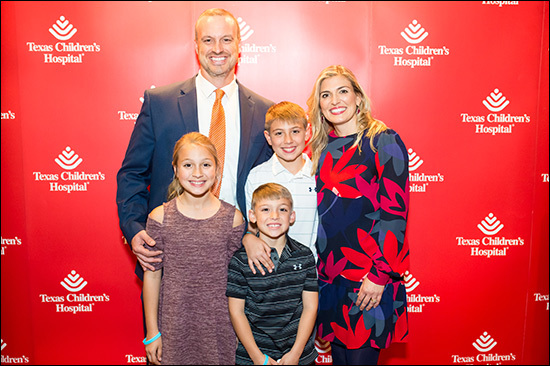 When the Malinskys learned that their daughter’s physician Dr. James Riviello – who had treated Molly since she was four months old – joined Texas Children’s as the associate section head for Epilepsy, Neurophysiology and Neocritical Care, it was a no brainer for the New Jersey family to travel to Houston to reunite with Riviello. 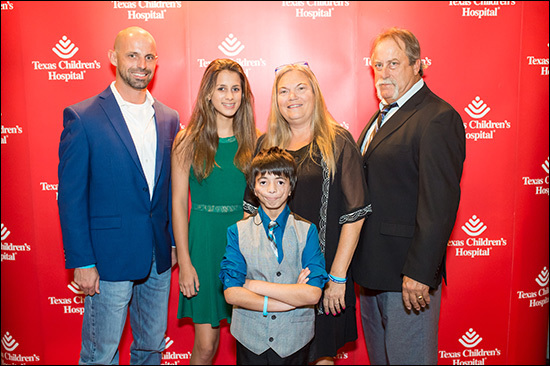 After five failed medication trials, the only option remaining for Molly was brain surgery. 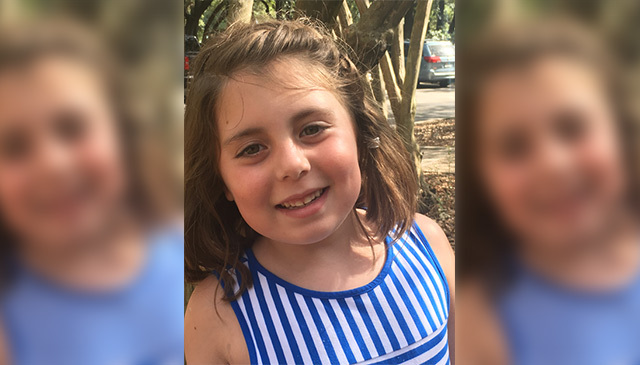 After her parents met with Riviello, Chief of Neurosurgery Dr. Howard Weiner, and neurosurgeon Dr. Daniel Curry to discuss Molly’s treatment plan, the team determined Molly would be a good candidate for brain surgery. 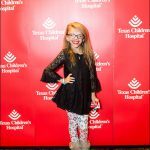 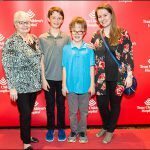 On October 26, 2017, Molly underwent laser ablation surgery, a minimally invasive procedure pioneered by neurosurgeons at Texas Children’s that uses an MRI-guided laser probe to identify and destroy lesions deep in the brain that cause seizures. 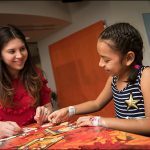 As the first hospital to perform laser ablation surgery in 2010, Texas Children’s has performed more than 150 of these surgeries, making it possible to treat some of the toughest cases of epilepsy, and put the brakes on damaging seizures. 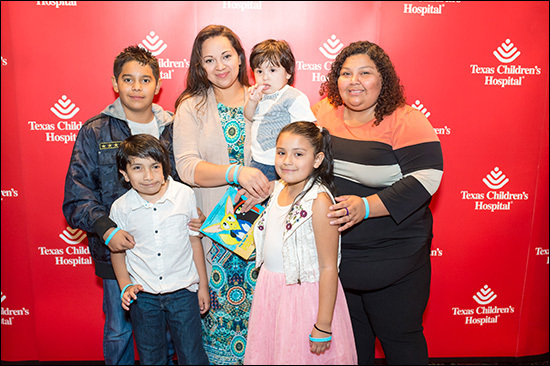 MRI-guided laser ablation has not only increased the safety of epilepsy surgery, especially in cases where the targets are far from the surface of the brain, but has drastically improved recovery time. 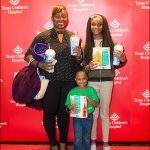 Many children go home the next day after surgery, seizure free. 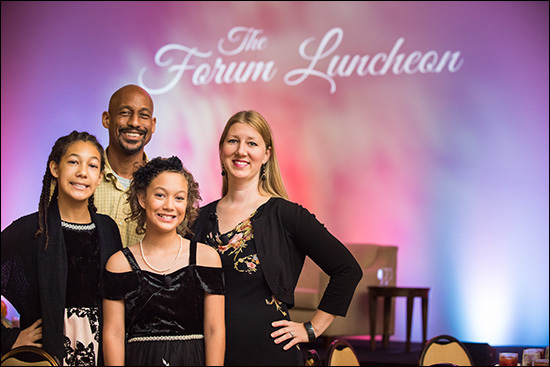 For Molly’s parents, their daughter’s outcome is truly remarkable. 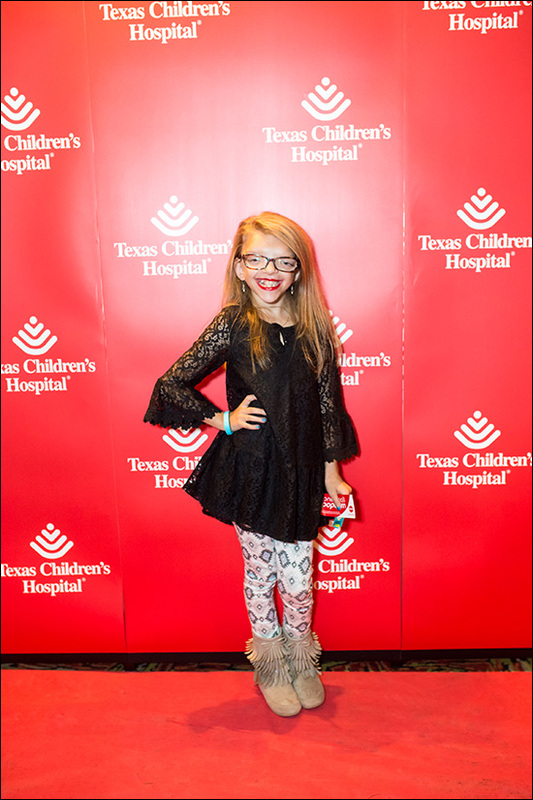 The Malinskys will return to Texas Children’s in February for Molly’s three-month followup. 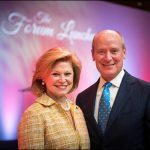 Meanwhile, they are grateful to Drs. 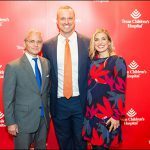 Riviello, Curry and Weiner, and the hospital’s entire neurology and neurosurgery teams for the exceptional level of care, compassion, professionalism and teamwork they delivered to their daughter. 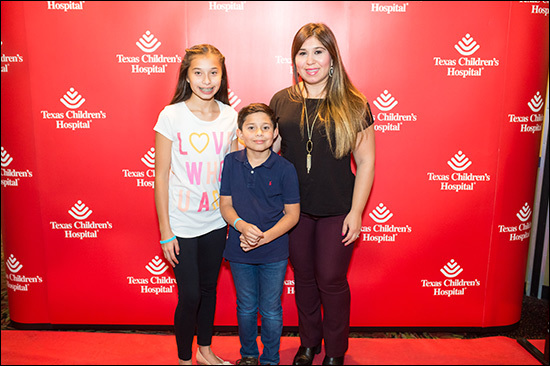 Click here to learn more about Texas Children’s Comprehensive Epilepsy Program and laser ablation surgery. 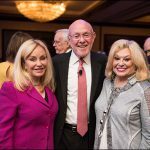 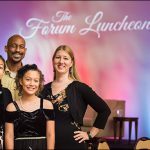 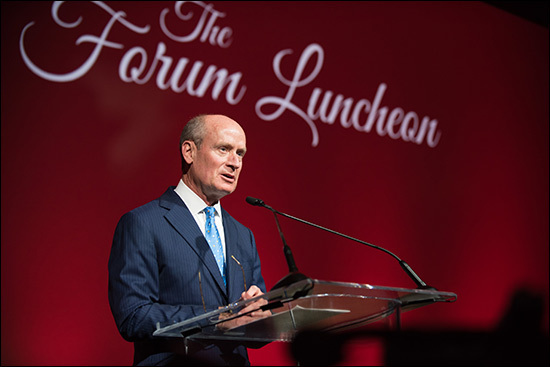 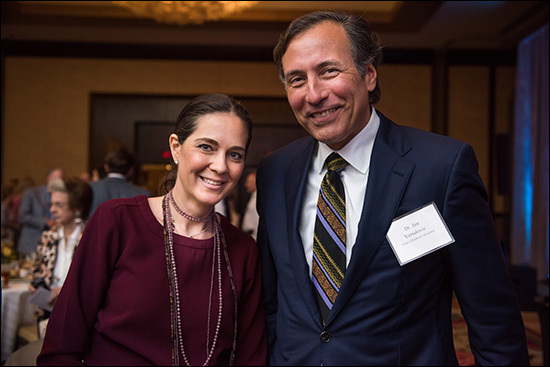 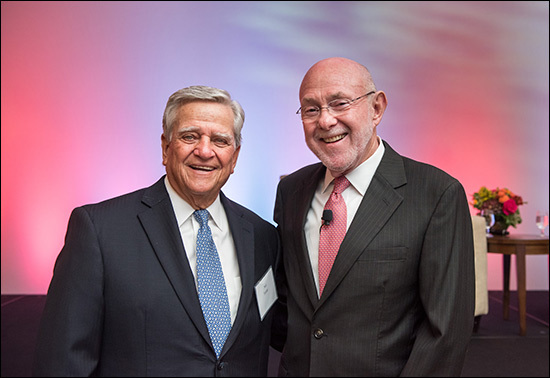 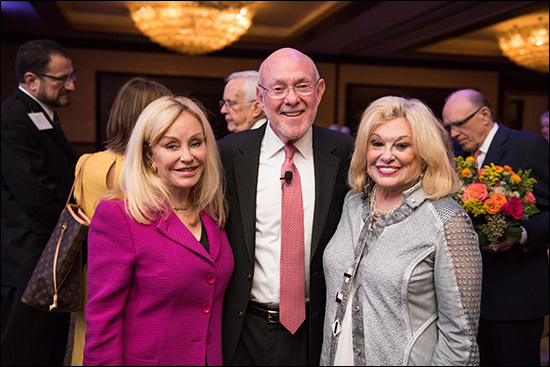 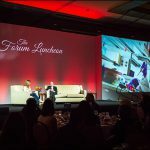 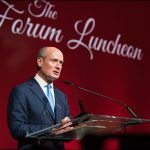 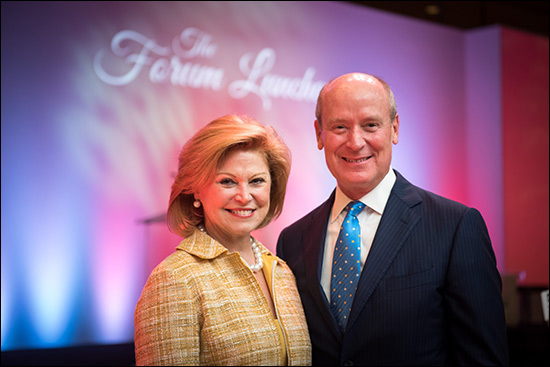 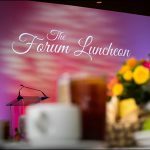 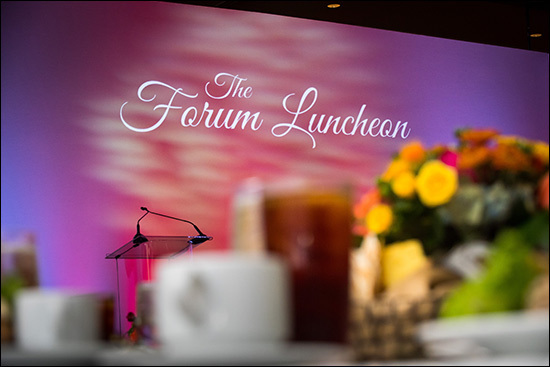 Hundreds of Texas Children’s supporters attended The Forum Luncheon in Houston on November 13. 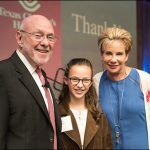 Hosted by The Development Department, the event focused on the success of the Texas Children’s Cancer Center and featured stories from two cancer survivors as well as an in-depth conversation between Cancer Center Director Dr. David Poplack and Fox 26 Morning News Co-Anchor Melissa Wilson. 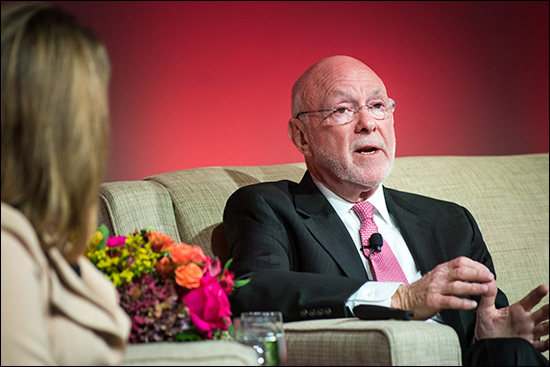 Poplack’s conversation with Wilson illustrated how far the Cancer Center has come in helping children with cancer, growing from six faculty, 42 employees, one laboratory and less than $300,000 in grant funding when Poplack joined the center in 1993 to a center that now has 190 faculty, more than 900 employees, 46 laboratories and about $40 million a year in peer reviewed grant funding. 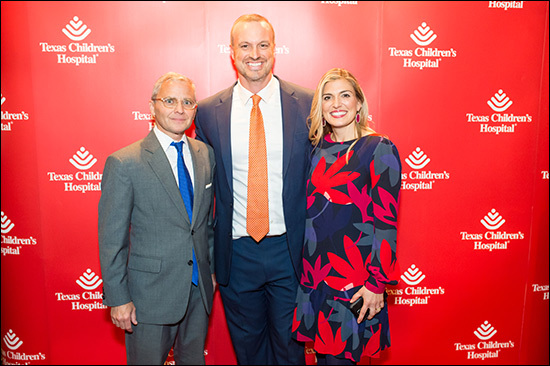 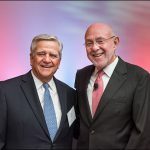 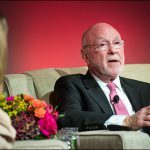 Poplack emphasized the need for children to be treated in children’s hospitals like Texas Children’s, which has expert multi-disciplinary teams equipped to tend to all aspects of a child’s care. 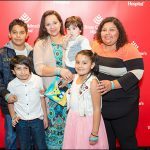 As the largest pediatric cancer center in the U.S., we provide individualized, state-of-the-art medical treatment for patients with childhood cancer, he said. 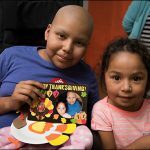 Poplack stressed that even with dramatic improvements in treating children with cancer – increasing the survival rate from 20 percent to 80 percent – the disease still is the leading cause of death from disease in children in the nation. 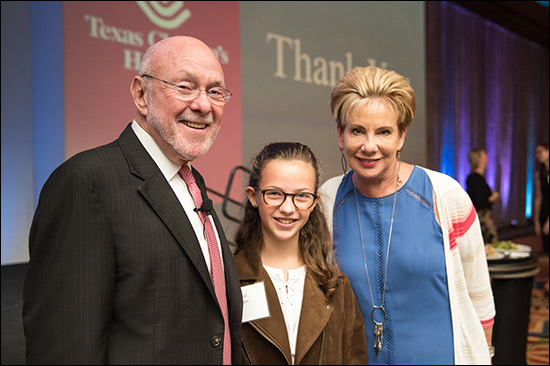 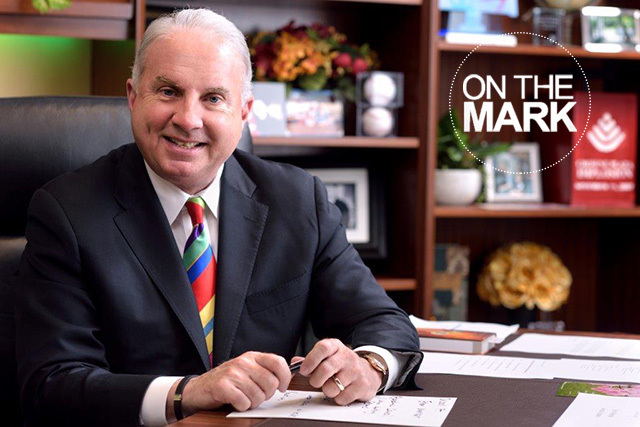 That’s why Texas Children’s Cancer Center is vigilant in its research efforts, especially in the areas of developmental therapeutics, precision oncology and cell therapy and immunotherapy. 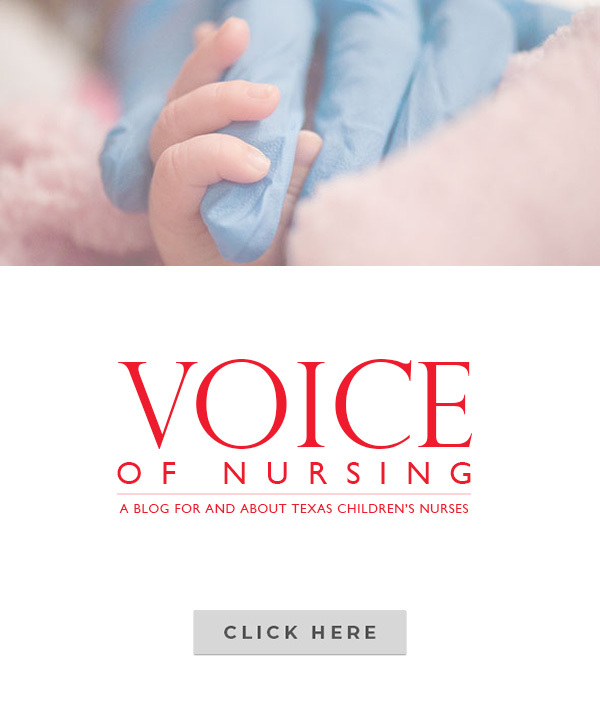 Texas Children’s Hospital Spiritual Care Department is asking you and your faith community to consider participating in No Crib For A Bed, a program that helps provide safe-sleeping accommodations to children and families in need. 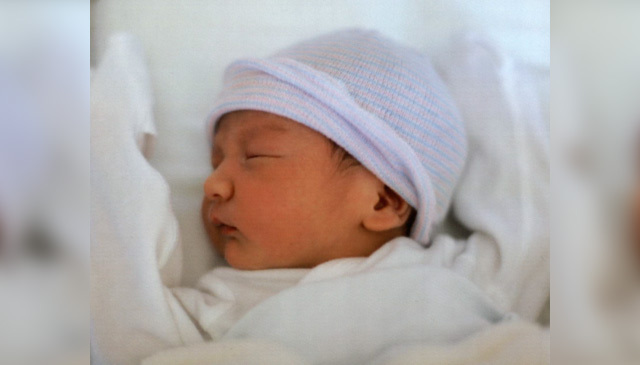 Donations of the mobile cribs and blankets and/or money are facilitated through various faith communities throughout the area. 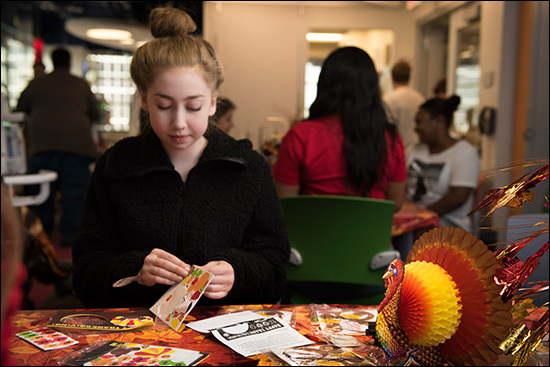 For more information or if you have questions, please contact Denham or the Spiritual Care Department at ext. 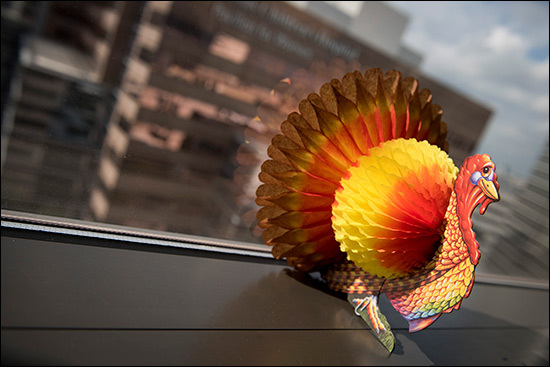 4-7223.